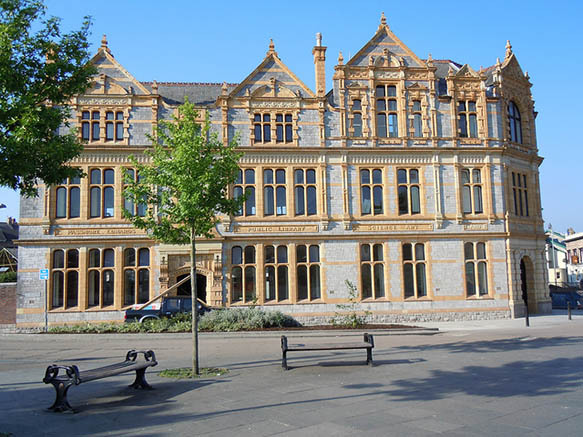 Newton Abbot Library is housed in a landmark 1904 Grade II Listed building, benefacted to the town by John Passmore Edwards and designed by Cornish architect Silvanus Trevail. 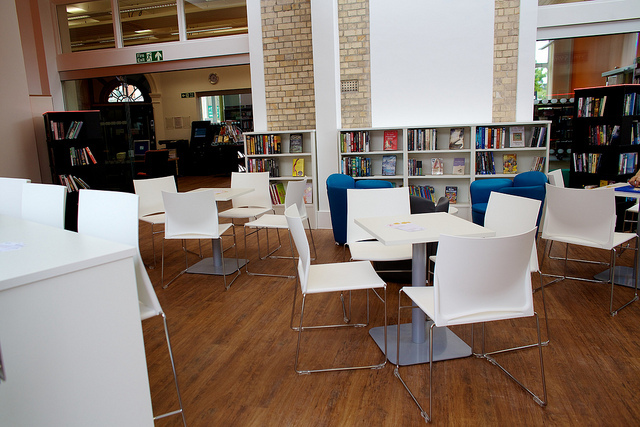 By 2009, the building was a busy centre for the library and adult & community learning, but the facilities were outdated. 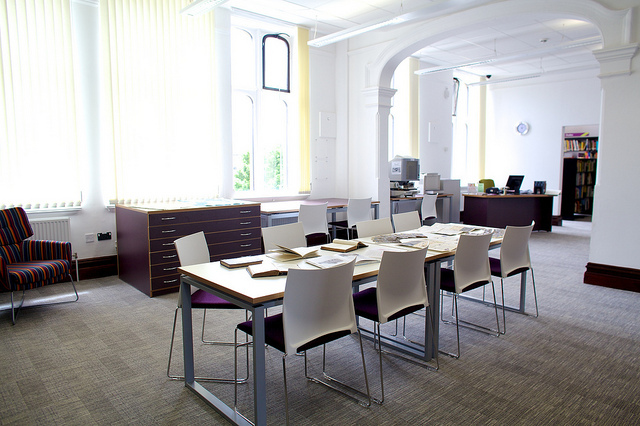 In a rapidly growing town, the refurbishment and extension of the building delivered additional library space for children, young people and families, fit-for-purpose studios and teaching rooms, and better display and storage for the Railway Studies collection, which is the largest collection of such material outside the National Railway Museum in York. Study space has been improved and a relaxation area with a cafe has been incorporated. The running of the cafe was tendered and won by a local business, The Country Table, and serves teas, coffees, light lunches and homemade cakes. In addition, the local Learning Disability Service run by the County Council is now based in the building, providing care and support to adults with learning disabilities. The building has been adapted to cater for their needs in a number of ways, for example installing a larger, fire-proof lift for easier access and emergency evacuation, a specialist bathroom/wet-room, gantry hoists in four of the rooms and widening of the corridors. The service moved into the Passmore Edwards Centre from an inadequate building on the outskirts of the town. 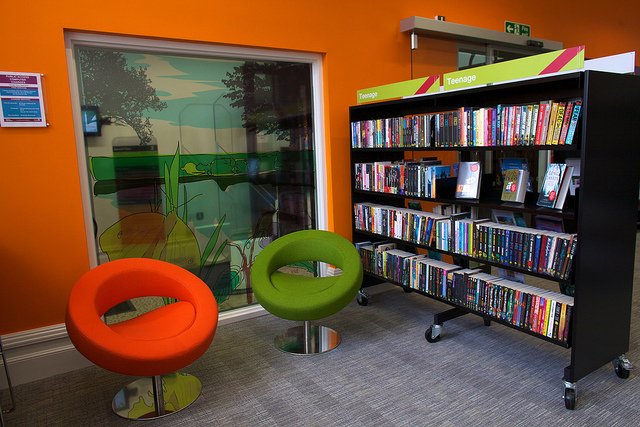 The town centre location and the fact that it is shared with adult learning and the library will provide fantastic opportunities for those who use the Learning Disability Service to participate more fully in community life. 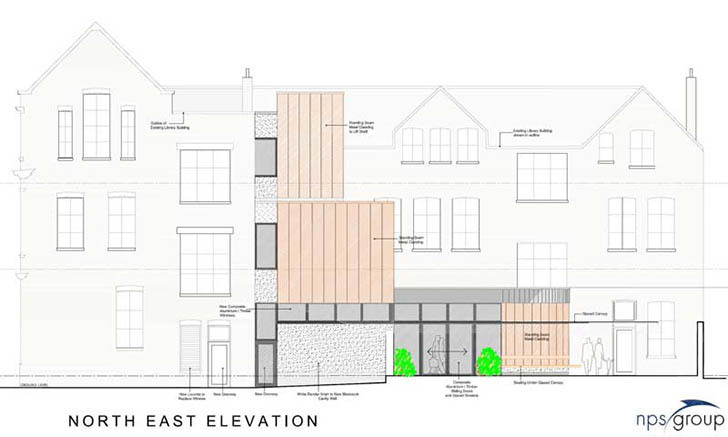 The council will also realise savings by maximising the use of this building and disposing of the old Learning Disability Service premises. Measures to improve the energy efficiency of the building have also been designed in as part of the refurbishment, within the restrictions of its Listed status, including wall insulation and new boilers. IT provision has been enhanced with the installation of wi-fi throughout the building, laptop points and flexible working stations for council staff alongside existing public access PCs. 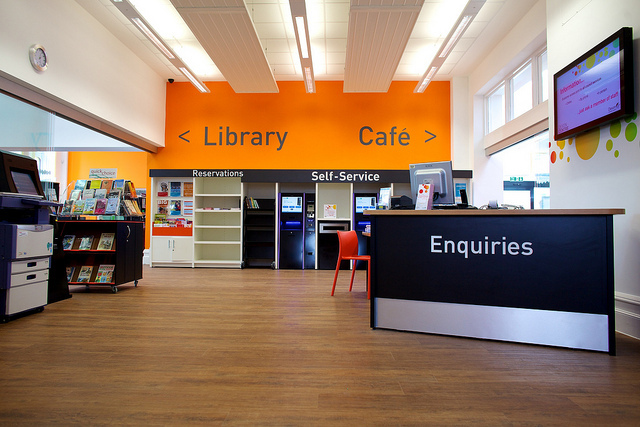 Library transactions can now be carried out on RFID terminals which take cash and card payments, and printing is also managed through self-service kiosks. Such self-service facilities allow extended opening hours for the library. 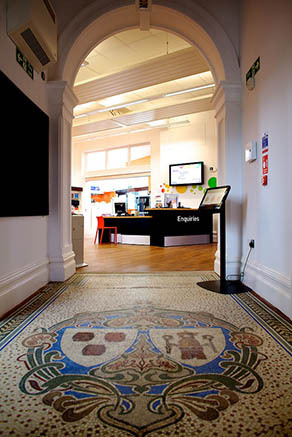 In addition, visitors have access to microfilm reader/printer, photocopying, fax and scanning. Teaching rooms feature interactive smartboards, laptop points, audio-visual equipment and audio-conferencing facilities, which means that they can be hired as high-standard meeting rooms to community groups or businesses when not in use by adult learning classes. The architecture and interior design brings the historic and the modern together to create a light, bright, fresh and inspiring space. 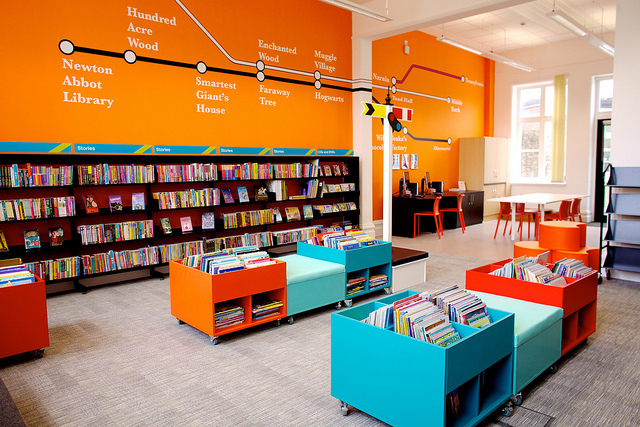 The children's library has a railway theme to encourage interest in the town's railway heritage and link up with the special collection. The building is a community facility and the public have been involved in the project throughout its duration. 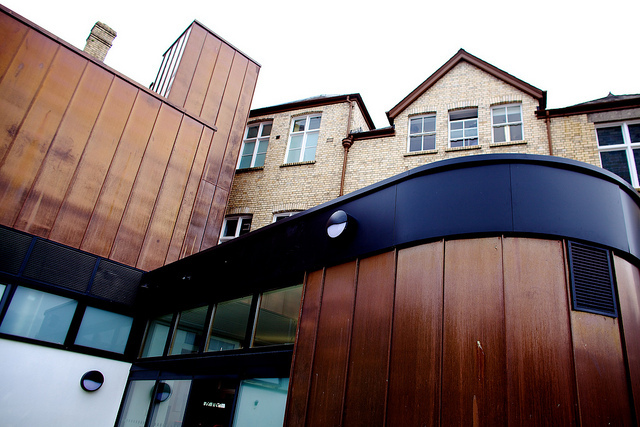 The local community renamed the building the Passmore Edwards Centre during the renovation, in recognition of the generosity of its Victorian benefactor.